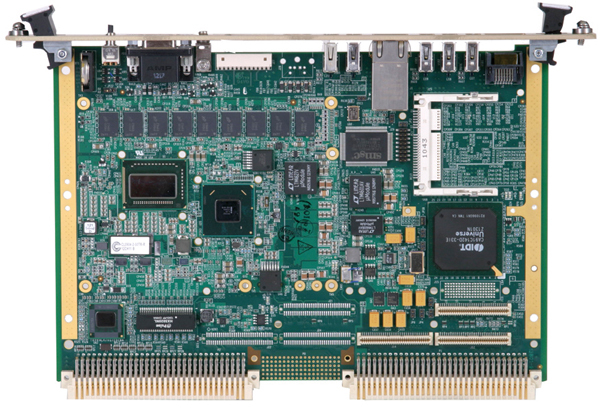 The CPU-71-15 is a high performance Single Board Computer (SBC) based on the VMEbus 6U form factor. The CPU-71-15 is offered in both convection cooled and ruggedized conduction cooled variants, meeting the needs of numerous commercial and military applications requiring maximum processing power, low power consumption, and small physical footprint. 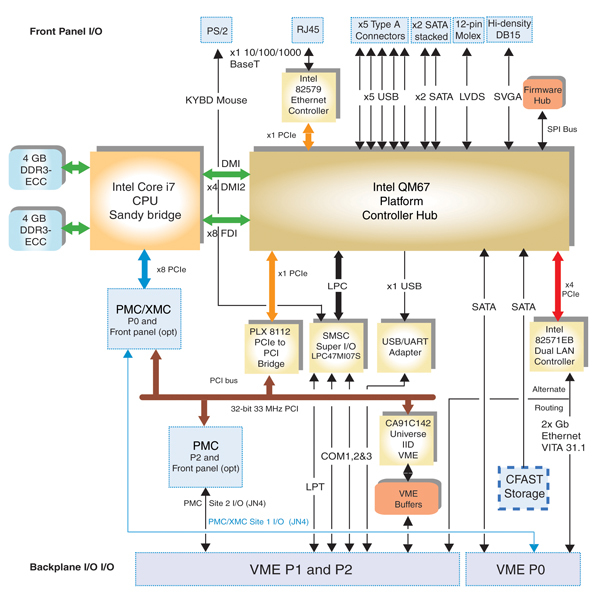 At the heart of the CPU-71-15 is an Intel® 2nd Generation Core™ i7 ULV Sandy Bridge Processor and a QM67 Cougar Point Platform Controller Hub (PCH). These two devices form the central processing backbone of the design. With a dual-channel memory controller integrated in the processor, the CPU-71-15 supports up to 8 GBytes of DDR3 SDRAM running at up to 1333 MHz.The CPU-71-15 supports two PMC and one optional XMC sites: the on-board XMC site is connected to the Core i7 CPU by one x8 gen 2 PCIe link; the two PMC sites are implemented with a PCIe to PCI bridge (PLX8112) connected to the QM67 PCH with a x1 PCIe link. 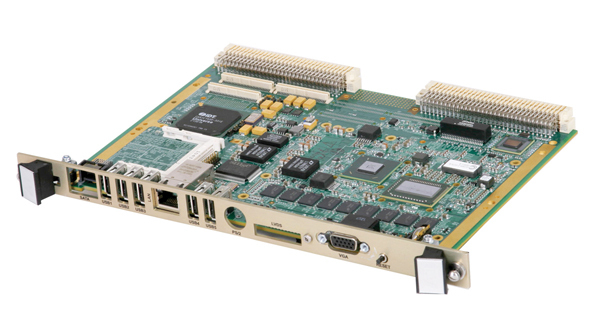 The VME interface to the backplane is implemented with the Universe IID PCI-VMEbus interface controller.The CPU-71-15 offers both front panel and P2/P0 Ethernet ports: an Intel 82579 10/100/1000BaseT Ethernet controller is routed to an RJ45 interface on the front panel access, while an 82571EB dual 10/100/1000 BaseT, provides two additional Gigabit Ethernet ports routed to either P2 or P0 in compliance with the VITA 31.1 Ethernet backplane network. Three RS232 ports and an LPT1 port are also routed to P2.Operating system support is provided for VxWorks, Linux, and Windows. VME Compatible – Tundra Universe IID PCI-VMEbus interface provides VME64 compatibility and backward compatibility with older VME backplanes.High Perfomance and Low Power – Dual core processing at less than 25W typical power consumption enables cool operation at extended temperature. Gigabit Ethernet – Three Ethernet ports are provided, one on the front and two on the rear, VITA 31.1 compatible. MIL-STD Versions – The CPU 71-15 is offered in versions that support wedge locks for high shock and vibration immunity, and conduction-cooling. Conformal coating is available for all versions.